Early deficit. Passionate, furious comeback in the final minutes. A tie game. Vocal crowd. Not enough to win though. 0-2 in conference. Still learning how to win close games. The University of Arkansas-Little Rock could very well be a team in serious contention of the conference title come late February. Granted, Texas State and UTA is probably not the toughest road trip in the conference right now, but to go 2-0 on the road is impressive. UA-LR jumped out to an early 11-point lead at 29-18, forcing UTA to play catch-up all game before eventually tying it at 70 before a final possession in which UTA defended passionately before a buzzer-beating long two-point shot won it at the buzzer for UA-LR. UA-LR’s roster featured two tall, powerful center/power forwards which UTA had trouble defending all afternoon. Will Neighbor (6’10, 225) had 17 points, and James White (6’10, 216) had 18. UA-LR didn’t shoot a ton of threes (4 of 10) but seemed to make a lot of open short jump shots 5-10 feet out and several dunks. They were also pretty effective getting inside and made several nice moves in the paint–including getting the ball into the post, fake the shot, get the defender to foul, put up the shot and earn free throws on the play. There were several big dunks by the Trojans. Despite a vocal crowd of about 1800, UA-LR didn’t seem to get rattled or intimidated and committed only 13 turnovers. 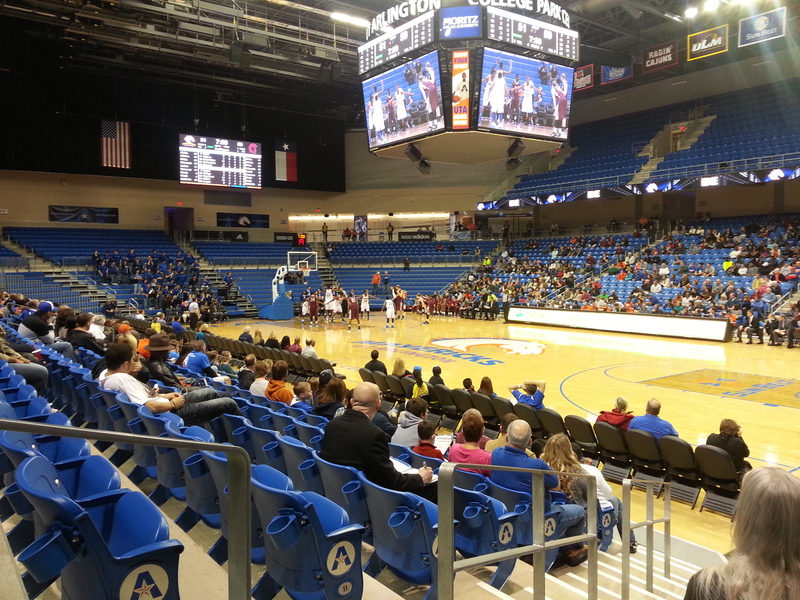 Reger Dowell had 13 points, but the real story for UTA was Lonnie’s 17 points, all in the second half. He basically took over the game in the second half, absolutely blowing by defenders for layups and dunks. A lot of fun to watch. UTA didn’t shoot a lot from outside (5-12) but attacked the rim a lot and made a nice 19-22 from the free throw line. But overall, our five more turnovers than UA-LR and the big early deficit were just too much to overcome for the Mavs. Next up: La-Monroe thursday at noon. If anyone wants to send a game report, e-mail me at the contact address at the top of this page.